The Public Relations Council of India (PRCI) adjudged the Mahindra Navistar print campaign as the best in the country from among 835 entries in the fray. The PRCI is a registered national body, a non-political organization of professionals in the field of public relations, communications, advertising, education and many other allied services. It is based out of Bangalore and has, for the past 4 years, pioneered the process for Accreditation of PR and Advertising work in India. It has a separate cell for social action to look at developmental and social issues. 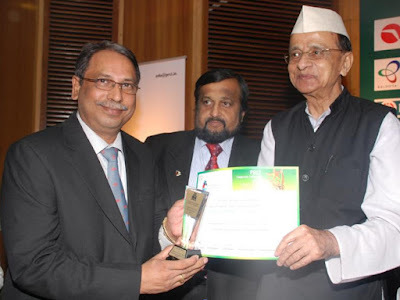 The PRCI has instituted awards for excellence in PR, Communication and Advertising to recognize superlative efforts by the corporate companies and the community at large, at an all India level. The awards event attracts guests from all over India, as also from abroad. The performance of the Mahindra Group in the year end awards was exemplary. 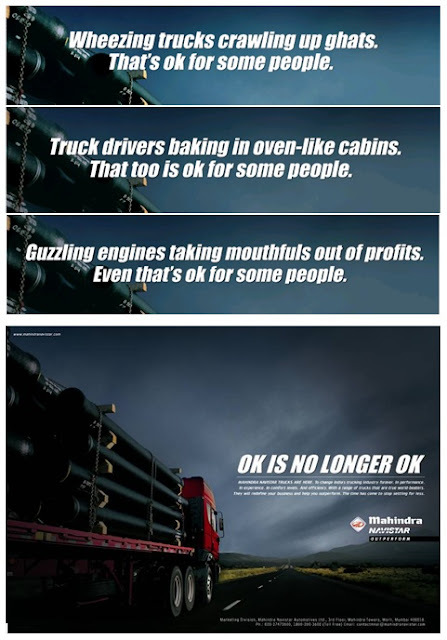 It entered the awards through many of its campaigns launched during the year, and besides winning the award for the Mahindra Navistar “OK is no longer Ok” campaign, it also won awards for Mahindra Lifespaces, its sustainability project as also the group’s electronic newsletter. Nearly 300 corporate companies were in the fray for the awards. The awards ceremony will be held on April 3rd at the India Habitat Center, Lodhi Road, New Delhi. 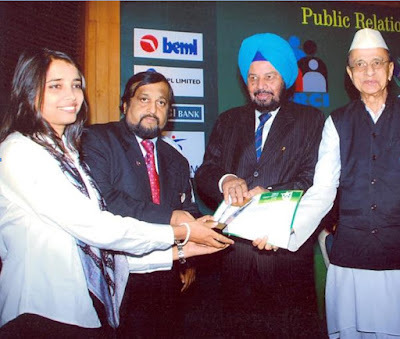 Ms. Roma Balwani was honoured with the prestigious Hall of Fame 2010 award by the Public relations Society of India (PRCI) at the India Habitat Centre in New Delhi on April 3, 2010.